The sun is blazing and the pools are open. Thank the heavens! I don’t think I could take another day of this heat without the relief of some water to dip my entire body in and out of. Now I know there are some women that just absolutely refuse to leave the house without a stitch of makeup, but honey let me tell you its just been too hot these days to even fathom wearing makeup. But for those of you have just have to wear something and vow to be the hottest think laying next to the pool, here asre some poolside pretty tips for you via Huda Beauty and what she does in the blazing sun in Dubai. For the full post click here. Remember, the sun can be very damaging, so take a lot of SPF with you! 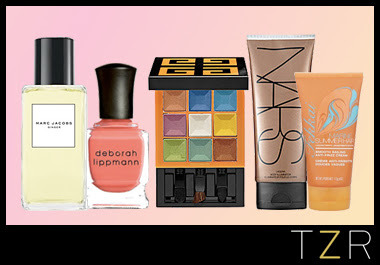 Here are 10 Cool New Summer Products chosen by Celebrity Fashion Stylist Rachel Zoe! Check them out and click on the links to shop! 1. Healthy Glow Summer Powder ($46) by Dior: Achieve sun-kissed skin at the stroke of a brush with this lightweight powder compact. 2. Body Illuminator ($45) by NARS: Formulated with Monoï de Tahiti Oil, this illuminating body bronzer will make you glow from head to toe! 3. Shinebox Highlight and Shimmer Collection ($39) by Ultraflesh: A versatile addition to any makeup bag, this set can be used on your eyes, lips and cheeks. 4. Le Prismissime 9-Colors Eyeshadow ($62) by Givenchy: Recreate the bold looks seen on this season’s runways with Givenchy’s multi-colored palette. 5. Flighty Zoom Lash ($14) by MAC: Available in classic black and three eye-catching hues, this limited-edition mascara is mah-jor! 6. Aqua Liner ($23) by Make Up For Ever: A waterproof eyeliner is a must in the summertime—love the rainbow of hues available from Make Up For Ever. 7. Splash Scent in Ginger ($68) by Marc Jacobs: Switch out your go-to scent for summer with this travel-inspired splash! 8. Smooth Sailing Anti-Frizz Cream ($24) by Fekkai: Keep beach frizz at bay with Fekkai’s newest hair weapon. 9. Girls Just Want To Have Fun Nail Polish ($16) by Deborah Lippmann: Coral is one of my all-time favorite shades for summer; Deborah Lippmann shows us how it’s done with this fetching color. 10. Tinted Moisturizer SPF 15 ($40) by Bobbi Brown: This 3-in-1 tinted moisturizer offers your skin sun protection, hydration and natural coverage. Obsessed! The other day I did a post about making your own bath salts with Epsom salt being the main ingredient. 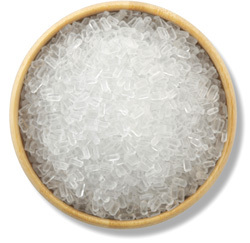 I listed briefly some benefits of Epsom salt but now I’m back with some at home remedies. Who knew salt could be so beneficial for beauty! Exfoliate dead skin – In the shower or bath, mix a handful of Epsom salt with a tablespoon of bath or olive oil and rub all over your wet skin to exfoliate and soften. Rinse thoroughly. Exfoliating face cleanser – To clean your face and exfoliate skin at the same time, mix a half-teaspoon of Epsom salt with your regular cleansing cream. Gently massage into skin and rinse with cold water. Dislodge blackheads – Add a teaspoon of Epsom salt and 3 drops iodine into a half cup of boiling water. Apply this mixture to the blackheads with a cotton ball. Remove foot odor – Mix a half cup of Epsom salt in warm water and soak your feet for 10 minutes to remove bad odor, sooth achy feet, and soften rough skin. Remove hairspray – Combine 1 gallon of water, 1 cup of lemon juice, and 1 cup Epsom salt. Cover the mixture and let set for 24 hours. The next day, pour the mixture into your dry hair and leave on for 20 minutes before shampooing as normal. Hair volumizer – Combine equal parts deep conditioner and Epsom salt and warm in a pan. Work the warm mixture through your hair and leave on for 20 minutes. Rinse thoroughly. Did you know these things? Ever tried any of them before? If so let me know. If not, which remedies are you going to try? 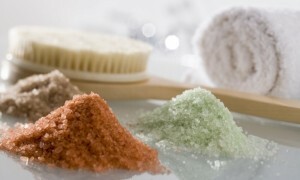 If you don’t have time to go to the spa, and like making things on your own, why not try making your own bath salts. It’s really simple. In a large bowl mix the salts first. Bag/Bottle mixture and let sit for 6 hrs. – Eliminates toxins from the body. Now you’re all set for a little me time in the bathroom. Aromatherapy that you can do yourself. Now get some candles, grab a robe and a towel and enjoy your you time in the bathroom.